If you know anything about chia seeds, you know that they're one of the hottest superfoods out there right now. I refer to these little seeds as nutritional powerhouses (and you can be sure that I don't use such terms lightly) because of their remarkable benefits. I enjoy using chia seeds in everything from smoothies to puddings. They're also handy to use as a natural thickener for soups and stews, as an egg substitute, or added to yoghurt or oatmeal. If you aren't already using these funny named seeds, I urge you to start doing so right away! 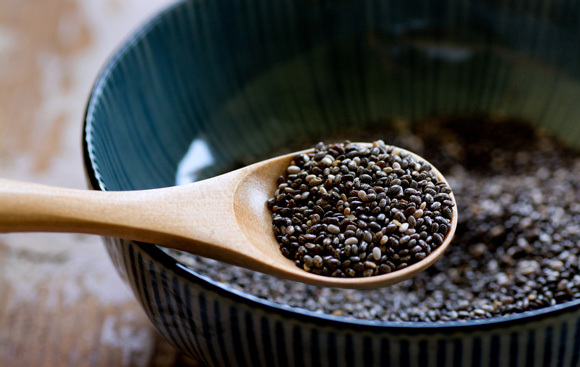 Here's what makes chia seeds so great. For starters, chia seeds are completely raw, vegan and gluten-free. According to a growing body of research, these tiny seeds in fact outperform more popular “healthy” foods. 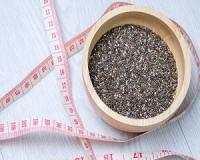 Chia seeds are also chock-full of omega-3 fats, fibre, antioxidants and minerals, and are a complete source of protein. Still not convinced of their greatness? Two times the amount of protein found in any other bean, seed or grain. Because chia seeds expand up to three times their original size when they’re wet and have such a rich fibre content (great for regularity, I might add! ), they can help you stave off those pesky cravings and stay fuller for longer by bulking up your meals and crowding out calories, sugar and fat. Ultimately, this is great for both a healthy body as well as weight loss. Furthermore, consuming chia seeds can increase your endurance and energy levels, which is great if you’re into fitness (especially running). They’re also helpful for rebuilding muscle after exercise as well as during and post pregnancy. Chia seeds pack more omega-3s and a far longer shelf life than flax, and can be substituted in any recipe for flax. While there are tons of different ways to incorporate chia into your diet, here’s one particular easy and delicious dessert you’ll feel great about eating! Add all the ingredients except the chia seeds to a high-speed blender and blend on high-speed for one minute or until smooth. Pour the liquid into a medium-sized bowl and whisk in the chia seeds. Stir until perfectly combined. Place in the fridge for an hour or two, until thick or overnight.